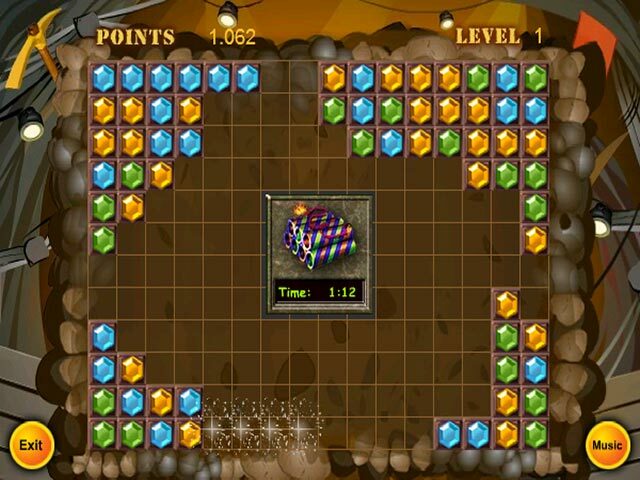 Venture back to the golden era of treasure hunting with Diamond Fever. 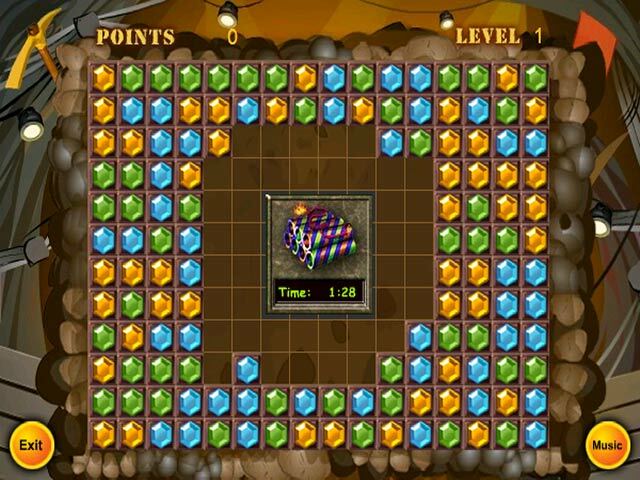 Click groups of 3 or more like-colored gems in this online puzzle game. Work quickly; you must clear the mine before it fills with gems and collapses. Click on dynamite when it appears to explode multiple gems. Go, restless diamond finder. 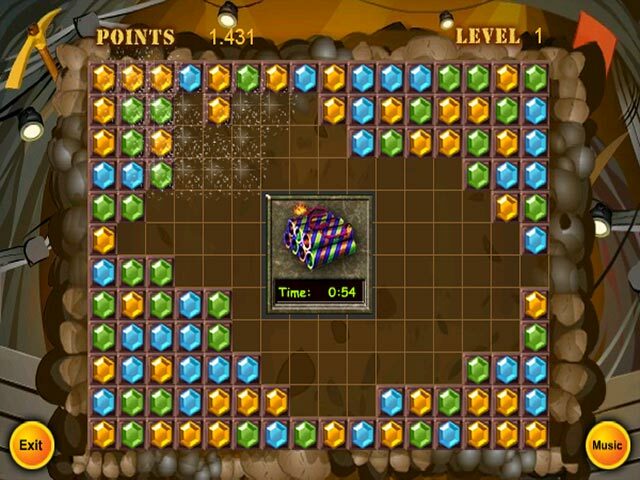 Start filling your sack with treasure and catch Diamond Fever now! How many diamonds can you collect?